An instant source of laughter, Fart! 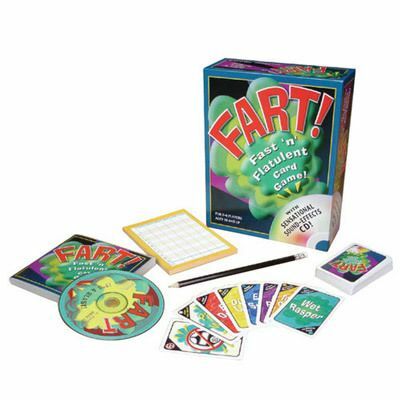 is the hilarious game where you race to discard all your cards first, while being serenaded by the fast and frantic chorus of flatulence. Every now and then an enormous explosion will let rip, forcing you to change direction, pick up penalty cards, or "Pass the Wind" to your opponent. Ages 14 and up. Hurry! Quantities are limited!